Children with hearing losses, or hard of hearing include those with hearing loss and children who are deaf (see full Glossary). Hearing loss may be present at birth or it may occur at any stage throughout the individual’s life. While children with hearing loss or hard of hearing may respond to different sounds, or auditory stimuli (see full Glossary), including speech, children who are deaf cannot receive sound in all or most of its forms. In British Columbia, Canada, children with hearing loss or hard of hearing and children who are deaf are eligible for early intervention and special needs educational and vocational support from birth until age 19 years (BC Ministry of Child and Family Development). Children with hearing losses or hard of hearing can only hear sounds at a certain level of loudness or intensity, and at a certain level of frequency or pitch in one or both ears. The degree of hearing loss might vary, from slight, to mild, to moderate, to severe, and profound. These ranges depend on a child’s ability to hear speech in others, or how loud and intensely their own speech is produced. Hearing losses can be bilateral (both ears) or unilateral (one ear). Children with a hearing loss greater than 90 decibels (dB) are considered deaf. Audiograms determine the degree of hearing loss. An audiogram is a graph on which a person’s ability to hear different pitches (frequencies) at different volumes (intensities) of sound is recorded (www.cohandsandvoices.org). These children need specialized education support or assistance to support their optimal development and learning. Hearing loss has also been described as conductive, sensori-neural, mixed or central. Mixed or central hearing loss indicates that the hearing is limited because both the central or inner ear and the auditory nerve are damaged. Where does hearing loss come from (Fig. 1)? Many times no one can determine the cause for hearing loss (see full Glossary). Hearing loss can be the result of genetic or hereditary, pre-, peri- or post-natal factors. See the list of syndromes and conditions, and also refer to the sections on Children with Biological Risk, Children with Established Risk Conditions and Children with Genetic Disorders and Children with Nervous System Disorders. Signs of hearing loss or hard of hearing may be present since birth. The Early Hearing Screening Program in BC provides important information on the advantages of newborn screening, as well as testimonials for parents. PHSA – BC Hearing provides information on what to do if your infants fails the newborn hearing screening. Step by step guidelines are provided such at: support from a Guide by Your Side (parent), introduction to all the home guidance and preschool programs for children who are deaf or hard of hearing; enrolment in the program that best fits your child’s communication needs and ongoing assessment of hearing status including amplification needs and the necessary referrals to specialized teams such as the Cochlear Implant Team of if atypical development is suspected to the Hearing Loss team at Sunny Hill Health Centre for Children (inter-professional team assessments including the developmental paediatrician/family consultant initially leading to a full inter-professional psycho-educational assessment prior to kindergarten. Many of them may be slow to learn new words, or have difficulty with their speech (unclear or changing sounds, e.g. “w” instead of “l”). Children with hearing loss or hard of hearing already in kindergarten and primary school grades find it hard to learn to read and write (see full Glossary) as they cannot blend sounds together. Intervention for hearing loss may start after birth, as soon as the loss has been detected. Children who are either hard of hearing or deaf generally need some form of special education services in order to receive an adequate education. For infants and young children consultation with an early intervention consultant or deaf and hard of hearing consultant regarding ways to stimulate the child and possible medical check-ups and interventions is helpful. Mode of communication varies with normally developing unilateral hearing loss children using oral communication; bilateral HL children using oral communication only or assisted by some sign language in the more significant hearing loss range unless they have cochlear implants where oral communication is stressed. Total Communication (see full Glossary) is a method of instruction for people with hearing loss or hard of hearing. 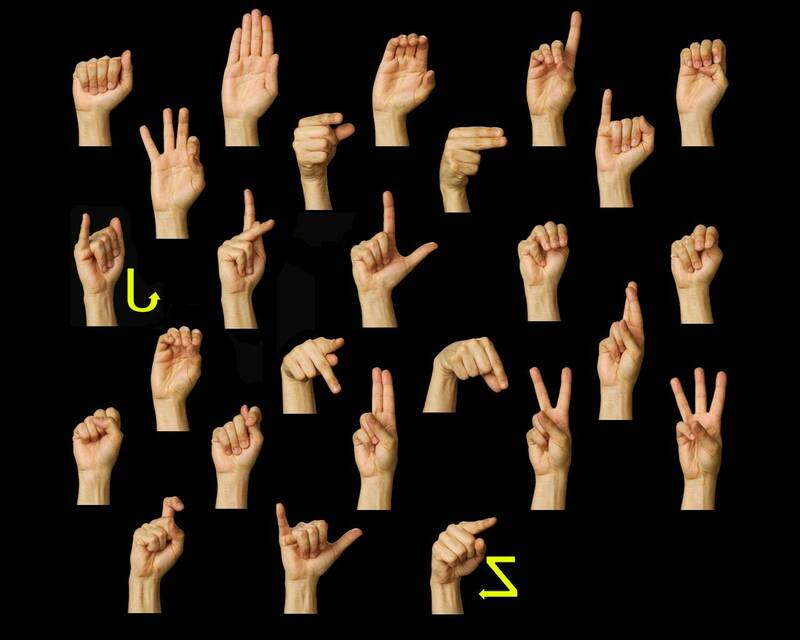 It combines the oral method plus signing and fingerspelling. To learn about hearing losses or hard of hearing in the middle childhood years, please visit the six to 12 part of this course.